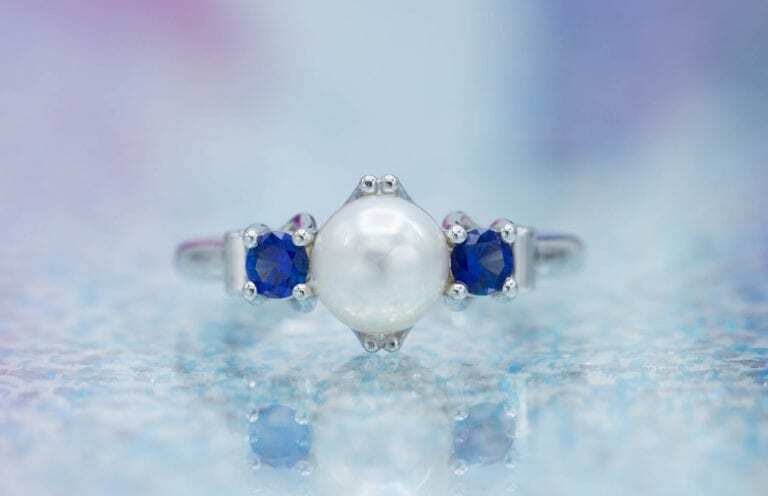 You have many gemstone options for engagement rings — something in almost any color imaginable for every budget and style. However, sometimes you just want to stick to the classics, like emeralds, rubies, sapphires, and diamonds. These four are the most well-known and traditional choices for classic engagement ring styles. All of these gems can be very expensive, but they’re also durable jewelry stones with timeless appeal. 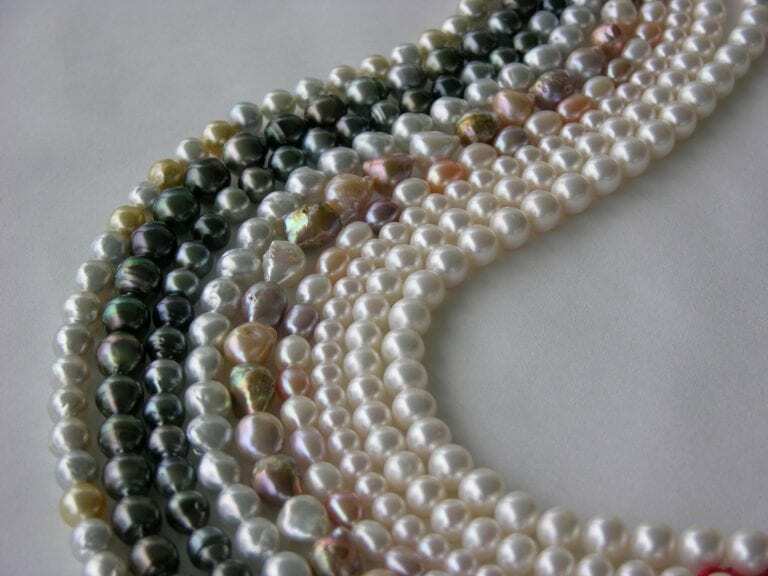 Learn more about the properties of these very popular gemstones. 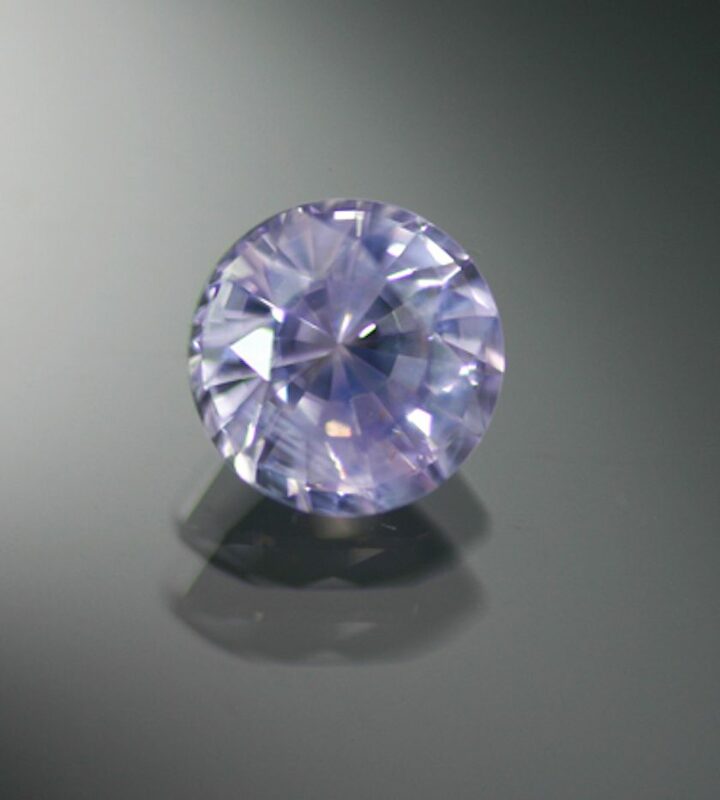 Pastel purple sapphire, 1.08 cts, 5.8 mm, round cut, Sri Lanka. © The Gem Trader. Used with permission. With their lush medium to dark green or blueish green color, emeralds are the highest-selling gemstone by value in the United States. People have treasured emeralds for thousands of years, and these stones have inspired many folktales and legends. Royalty such as Cleopatra, the Mughal emperors, and the Duchess of Windsor have favored emeralds. “Emerald green” has even become a popular color term. Round brilliant-cut emerald gemstones, 1.78 and 1.55 cts, 0.8 x 0.8 x 0.5 cm and 0.7 x 0.7 x 0.5 cm, near Kenticha, Oromia, Ethiopia. © Rob Lavinsky, www.iRocks.com. Used with permission. Although emeralds have a high Mohs hardness, which means they’re very resistant to scratching, they require more special care than any other classic gemstone. Emeralds tend to contain many inclusions — fractures and crystals — inside their own structure. 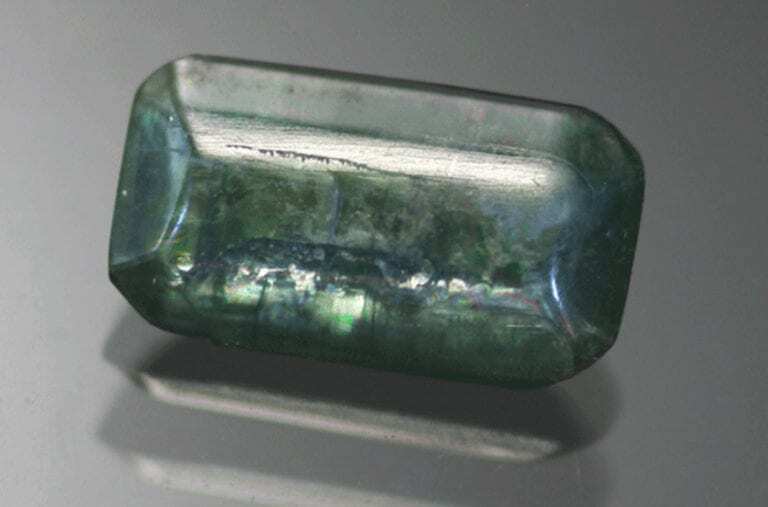 While these can give every emerald a unique appearance, they can also lower its clarity and weaken its stability. Jewelers often use oils and fillers to minimize the appearance of inclusions and improve gem durability, so emeralds must be cleaned very carefully, and any fractures may need to be refilled every few years. 14k rose gold engagement and inset ring, featuring a pear-shaped Colombian emerald, 3 cts, and diamonds, 2 ctw. Photo courtesy of liveauctioneers.com and Prime Estate Jewelry. 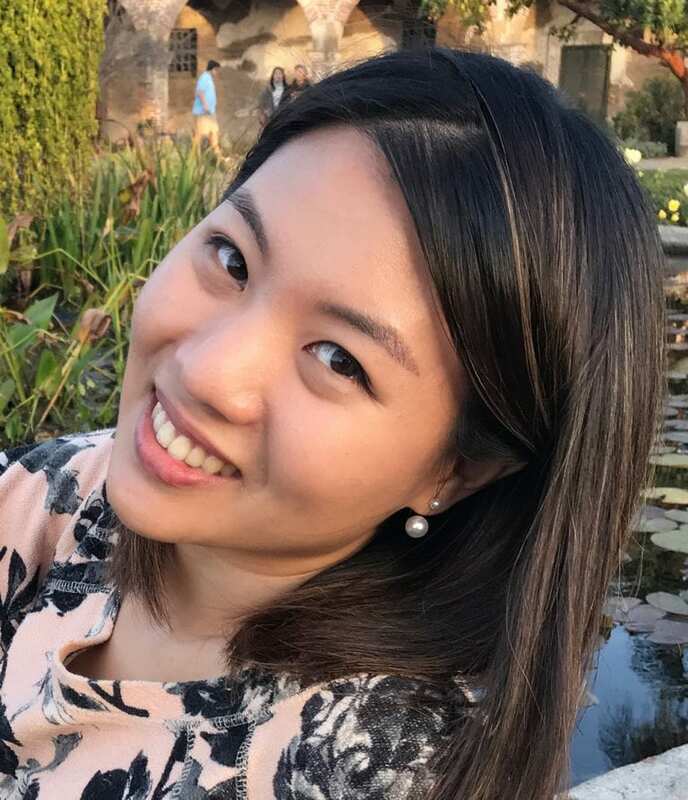 Although emeralds are “high maintenance” stones, for gem lovers who adore their rich, soothing colors and their “garden” of inclusions, they’re worth the effort and expense. For more information on emerald quality factors, consult our emerald buying guide. Known as ratnaraj, “the king of precious stones,” in Sanskrit, ruby is the most valuable variety of corundum. Rubies are red, gem-quality corundum gems. (All other colors are known as sapphires). “Pigeon’s blood” is the most prized ruby color of all, so-called because this red resembles that of drops of blood from a freshly killed pigeon. This color is noted as R 6/6 in the GIA color grading system, which means a red hue with a medium-dark tone and an intense, “vivid” saturation. Myanmar (formerly Burma) is the most well-known source of rubies with this color. Unheated dark red ruby, 1.01 cts, 6.7 x 4.1 mm, rectangular step cut, Mozambique. © The Gem Trader. Used with permission. Red has so many associations with passion and desire, it’s little wonder rubies have accumulated a pretty fantastic body of lore. Burmese warriors wore rubies under their skin into battle to protect them from harm. The Ancient Greeks and Hindus believed that rubies contained fire and could even boil water. 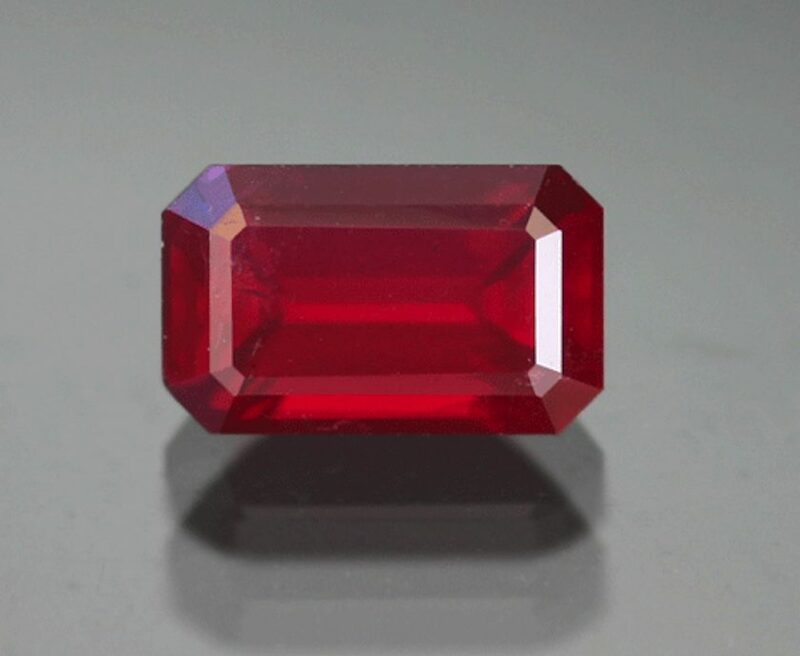 This belief may stem from the fact that rubies fluoresce (especially those from Myanmar), appearing like glowing coals under ultraviolet light. 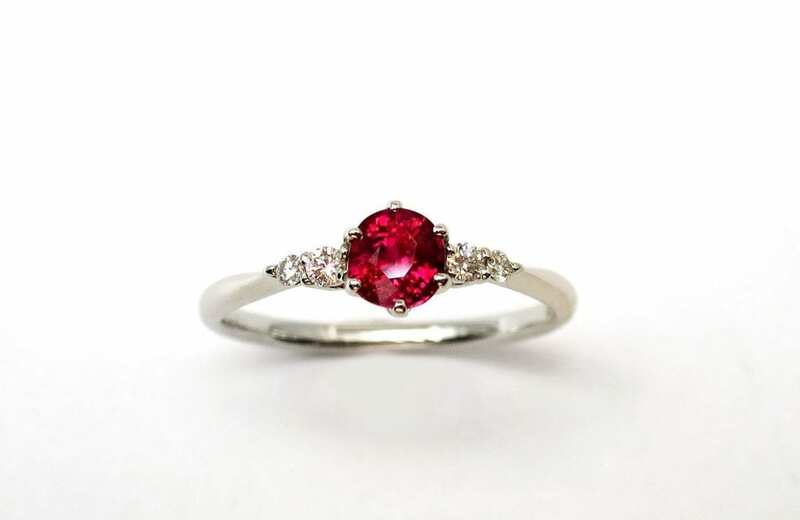 Rubies are one of the hardest gemstones, making them both beautiful and practical as engagement ring stones. Ruby ring. Photo by 黒川ミトン. Licensed under CC By-SA 4.0. For more information on ruby quality factors, consult our ruby buying guide. With their celestial blues and violets, sapphire gems have reminded many of heaven. Throughout the centuries, people have associated this gemstone with nobility, fidelity, and eternity. It has also been popular as an engagement ring stone, worn by royalty like the Empress Josephine and Princess Diana. Dark blue sapphire, 1.09 cts, 6.8 x 5 mm, oval mixed cut, Sri Lanka. © The Gem Trader. Used with permission. 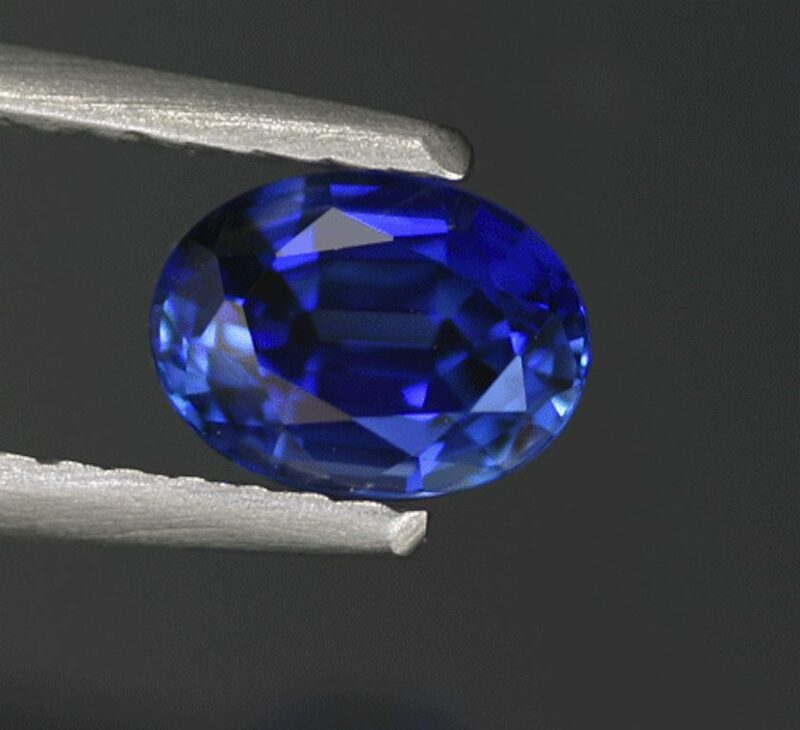 Kashmir and Myanmar produce the most valued blue sapphires. Kashmir sapphires in particular are famed for having a dreamy, velvety glow. Some sapphires may exhibit some phenomenal visual effects. For example, color change sapphires will show a warm color under incandescent light and a cool color under fluorescent light. Star sapphires will show bands of light arranged like a 6-rayed star that roll across the stone. Although most well-known for their blue colors, sapphires occur in every color, except red. All sapphires also make very hard and durable ring stones. For more information on sapphire quality factors, consult our sapphire buying guide. 18k white gold engagement ring, featuring an oval-cut sapphire, 2.40 cts, and diamonds, 0.80 ctw. 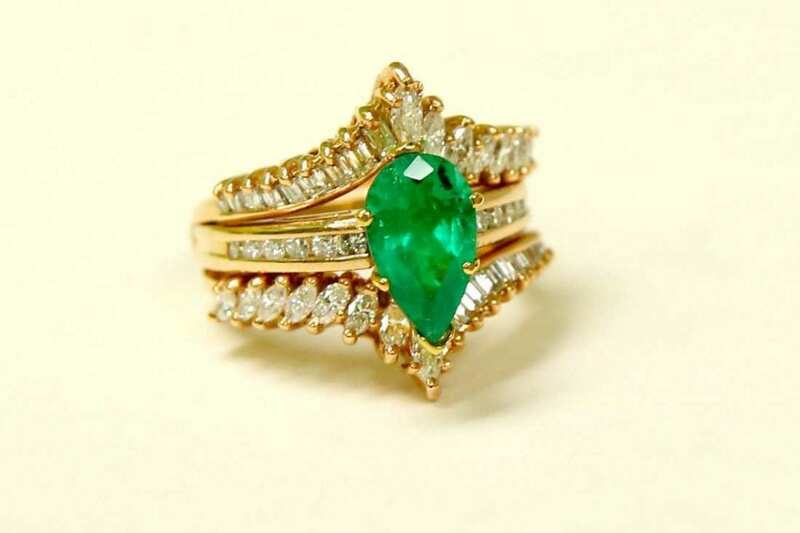 Photo courtesy of liveauctioneers.com and Estate Jewelry Auctions. 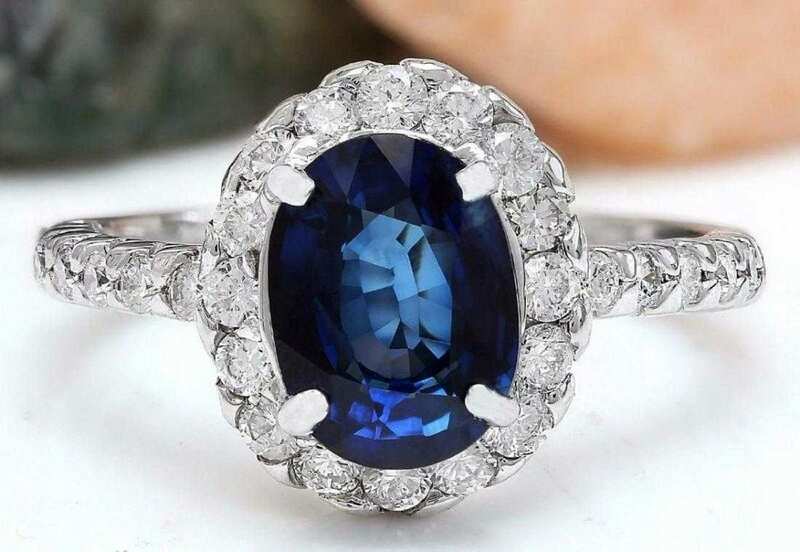 The following two sapphire colors are also particularly popular. Pinkish orange or orangish pink sapphire, said to have the same color as lotus flowers at sunset, are known as padparadscha sapphires. 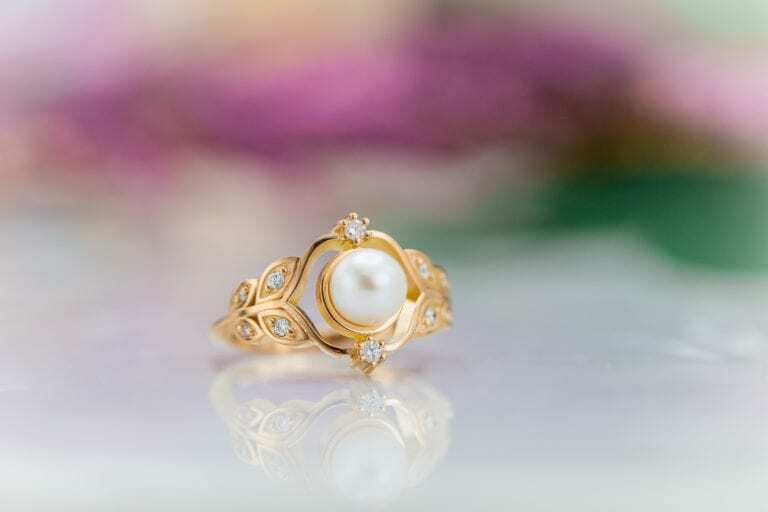 In fact, their name comes from the Sinhalese word for “lotus color.” As a result, this stone is particularly treasured among Buddhists, who associate lotus flowers with purity. Oval-cut padparadscha sapphire, 1.19 cts. © All That Glitters. Used with permission. 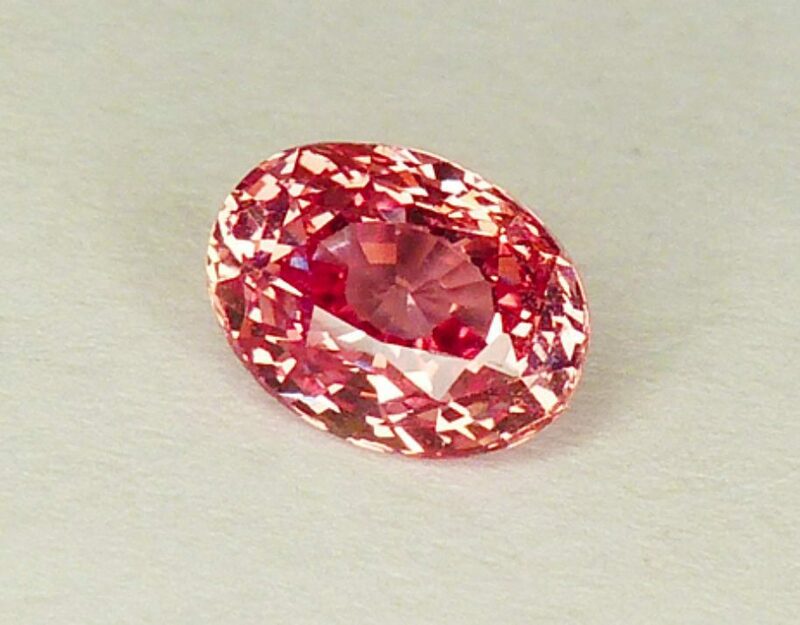 Determining the precise color range of padparadscha sapphires has proven difficult. Consumers from Western cultures favor somewhat different mixes of pink and orange hues and levels of saturation in these gems than consumers from Eastern cultures. Gem labs may also use different criteria for determining whether a sapphire qualifies as padparadscha. Cushion-cut padparadscha sapphire ring, 1.21 cts, with diamond side stones. 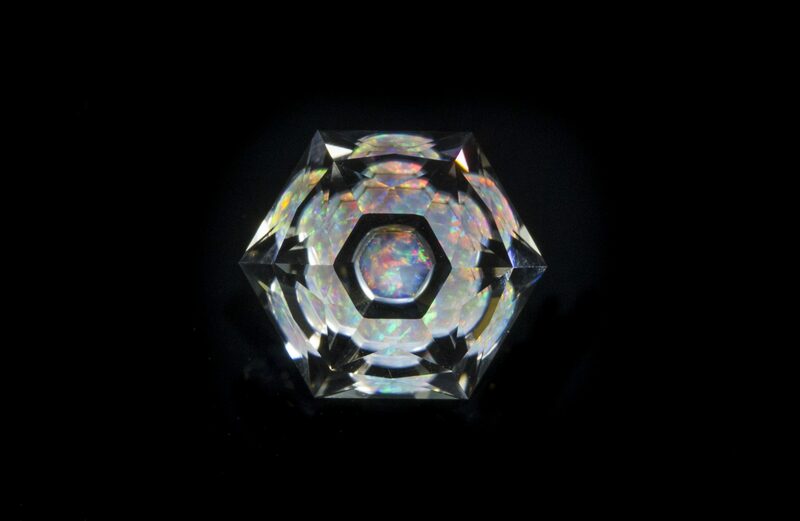 Photo courtesy of liveauctioneers.com and Avis Diamond Galleries. For more information on padparadscha sapphire quality factors, consult our padparadscha sapphire buying guide. 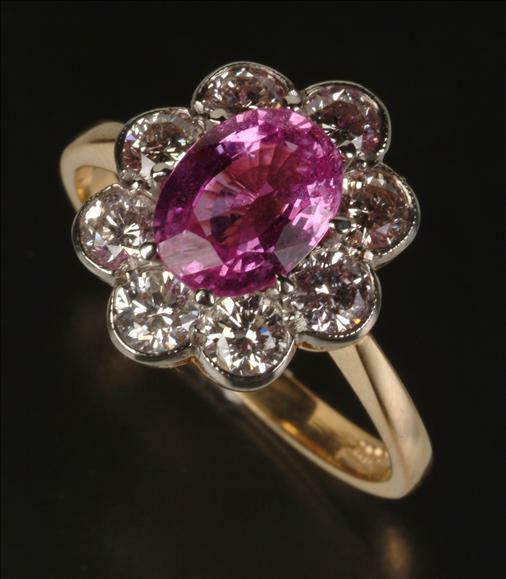 Pink sapphires are more affordable than padparadscha but are still absolutely stunning. The best pink sapphires combine a pure, vivid pink hue with good brilliance. 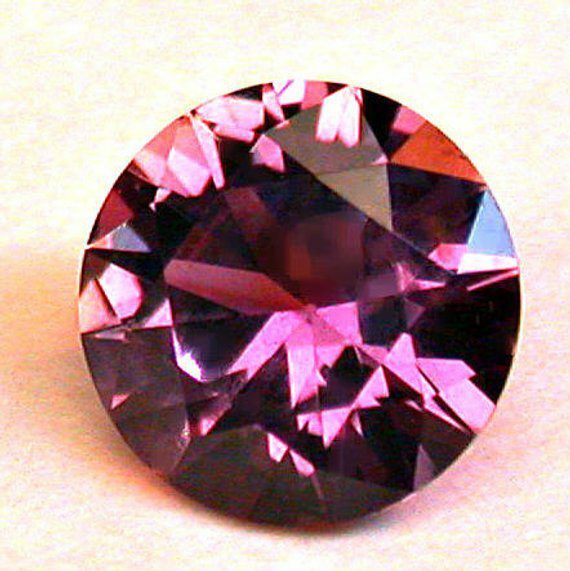 Round brilliant-cut pink sapphire, 1.12 cts, Rock Creek, Montana. Photo © Joel E. Arem, PhD, FGA. Used with permission. These gems make wonderful options for those who enjoy pink or want a splash of color on their classic engagement ring. 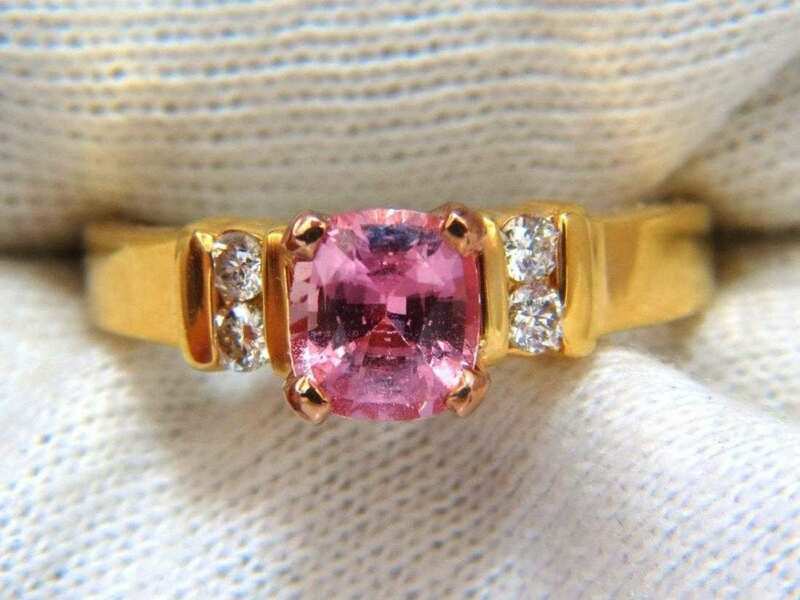 Pink sapphire ring. Photo by Charles J Sharp. Licensed under CC By-SA 3.0. Of course, diamonds are the most popular choice for classic engagement ring stones. Although white diamonds (colorless to slightly tinted yellow) are the most well-known, diamonds also come in a variety of colors. Known as fancy colored diamonds, these include famous pinks and blues as well as incredibly rare reds and greens. 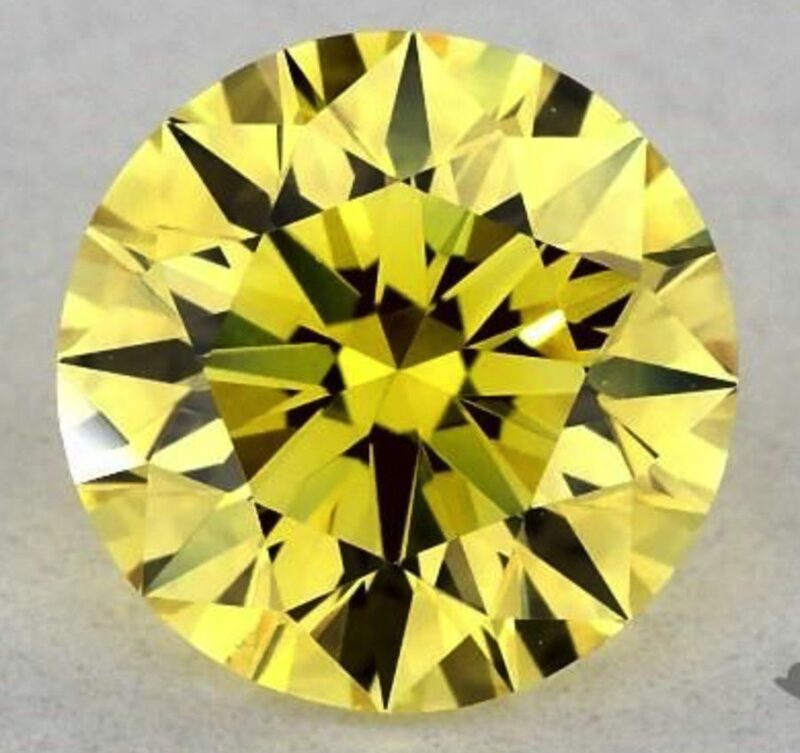 Although fancy colored diamonds can be very expensive, fancy yellow diamonds are both popular and somewhat more affordable, closer in price to white diamonds. Yellow diamonds will add a colorful twist to a traditional diamond engagement ring, and they have the added benefit of being the hardest gem on Earth. 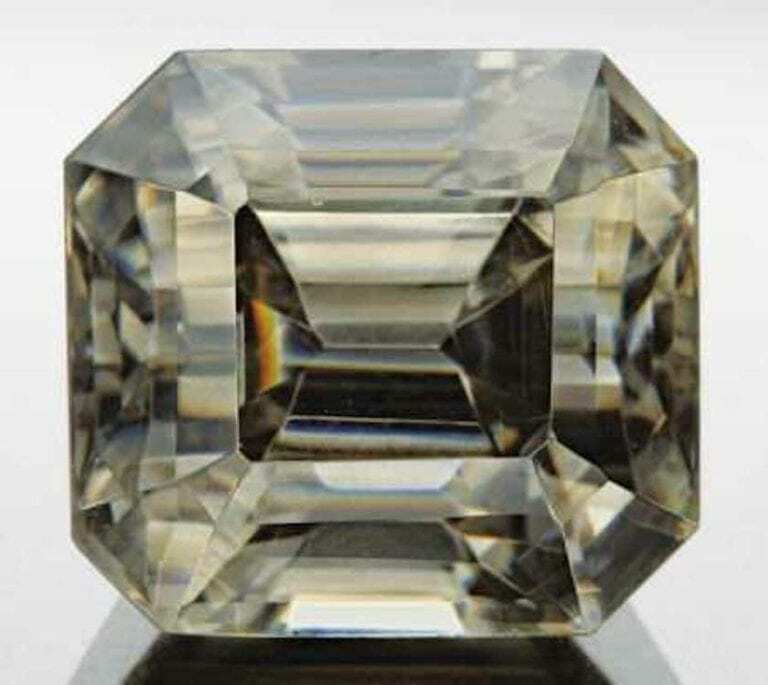 Fancy yellow diamond, VS1, 0.57 cts, round cut. © James Allen. Used with permission. Prized for their luscious golden or sunny hues, fancy yellow diamonds receive color grades of fancy vivid, fancy intense, fancy, or fancy light. The most expensive grade, fancy vivid appears golden in color. 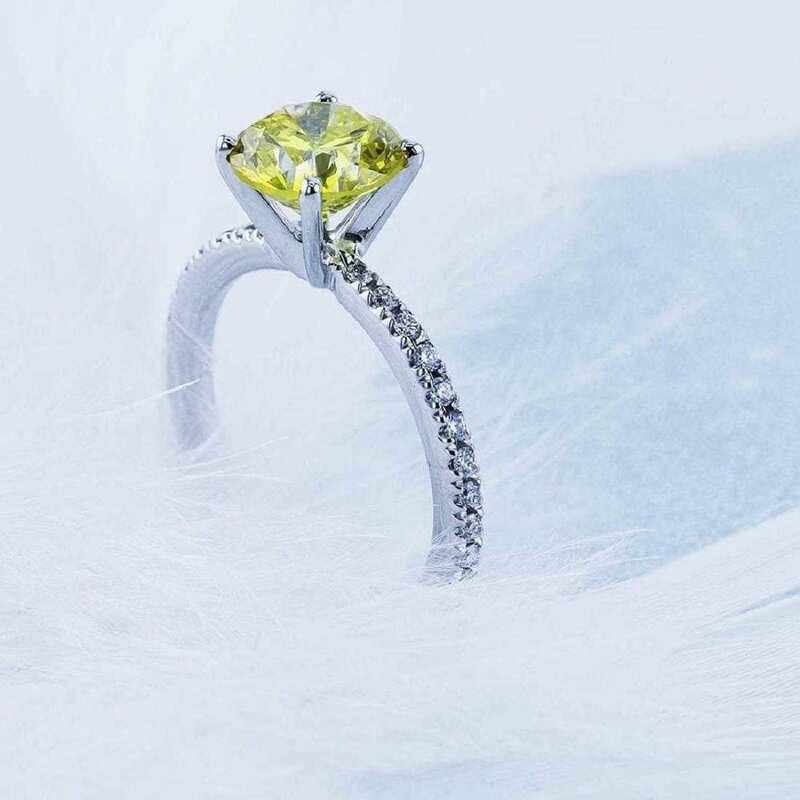 Fancy vivid to fancy intense yellows are also known as “canary” diamonds and have a lighter, more delicate hue. Fancy and fancy light grades also make good, less expensive options. A subtle difference in saturation can mean a great difference in price. Celebrities with yellow diamond engagement rings include Heidi Klum, Nicki Minaj, Kelly Clarkson, and Iggy Azalea. 14k white gold engagement ring with fancy vivid yellow diamond, 1.05 cts, and white diamond side stones. Photo courtesy of liveauctioneers.com and Best Brilliance Inc.
For more information on fancy yellow diamond quality factors, consult our yellow diamond buying guide.